Brass discs with verdigris patina, dark brass beetles and czech glass. 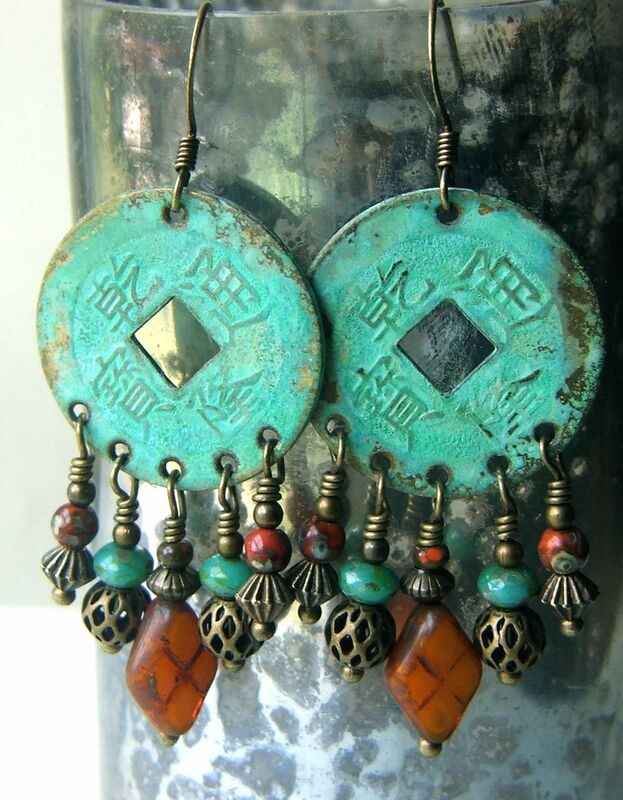 Asian style brass coin discs with verdigris patina and czech glass beads. 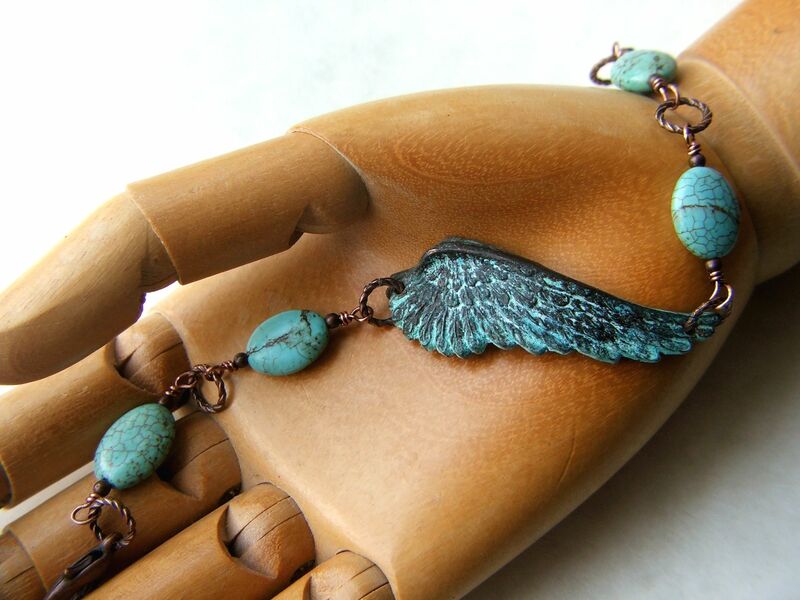 Copper wing with blue patina and blue magnesite beads. 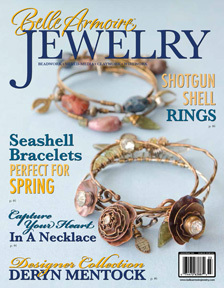 I'm honored to be featured in this issue!